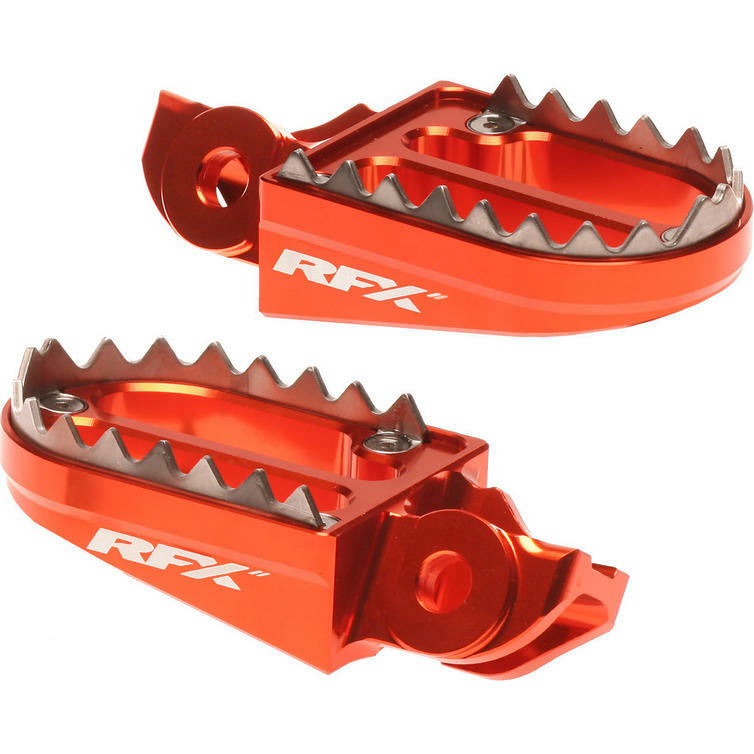 The RFX Pro Series 2 Shark Teeth Footrests are part of the latest RFX collection. 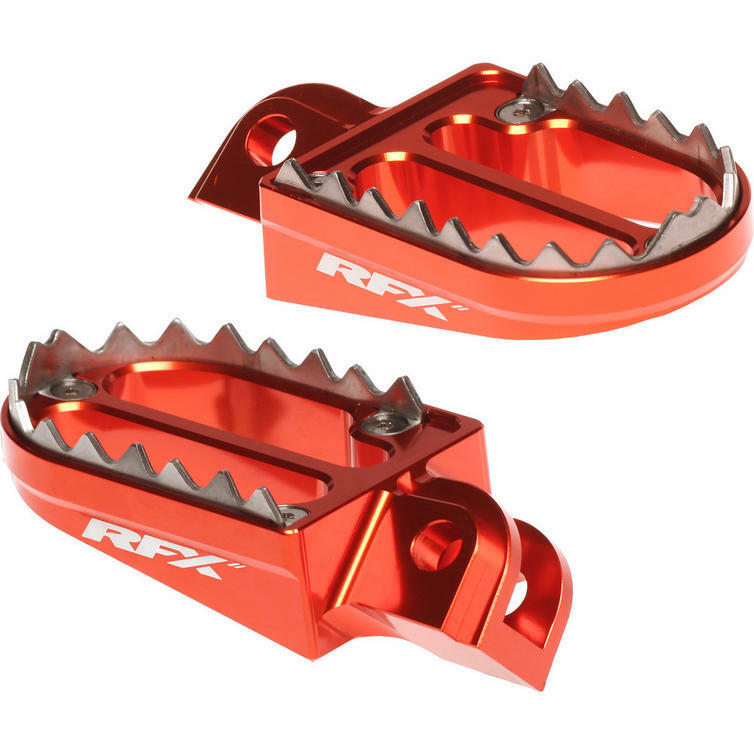 The RFX Pro Series 2 Shark Teeth Footrests are all new and feature a revolutionary tooth design. 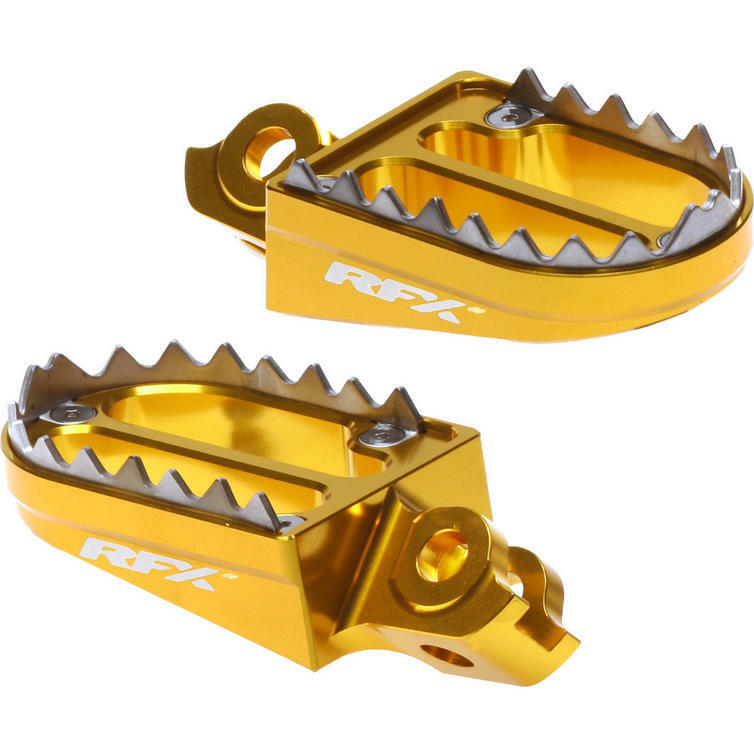 New forward and backward facing teeth help increase rider grip even when the teeth start to wear, this is a major advantage over previous designs which relied on the sharpness of the teeth to hold the rider firmly to the pegs. 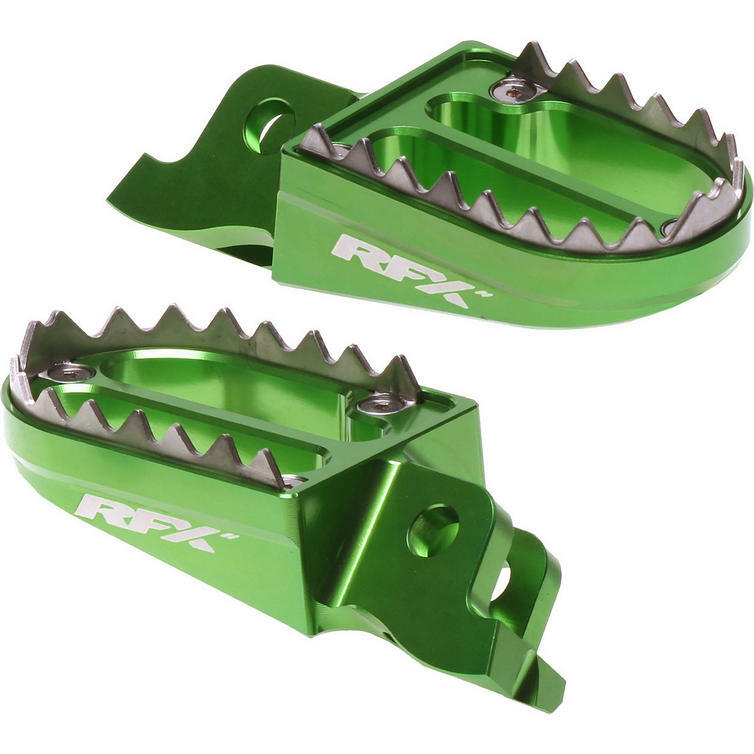 New minimalist inner brace design helps reduce weight and give exceptional mud clearing abilities. This design is only achievable using aerospace grade 7075 aluminium and T6 heat treatment. 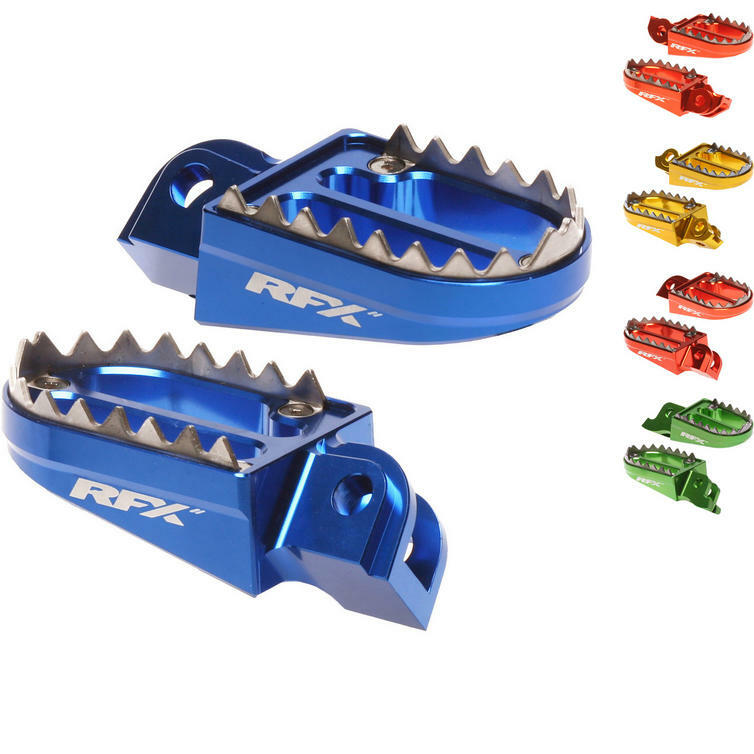 New style teeth are fully replaceable and are held in using only three bolts, this enables the footrest to be easily kept in the best condition. The RFX Pro Series products are designed and tested with the help of top UK and International race teams. 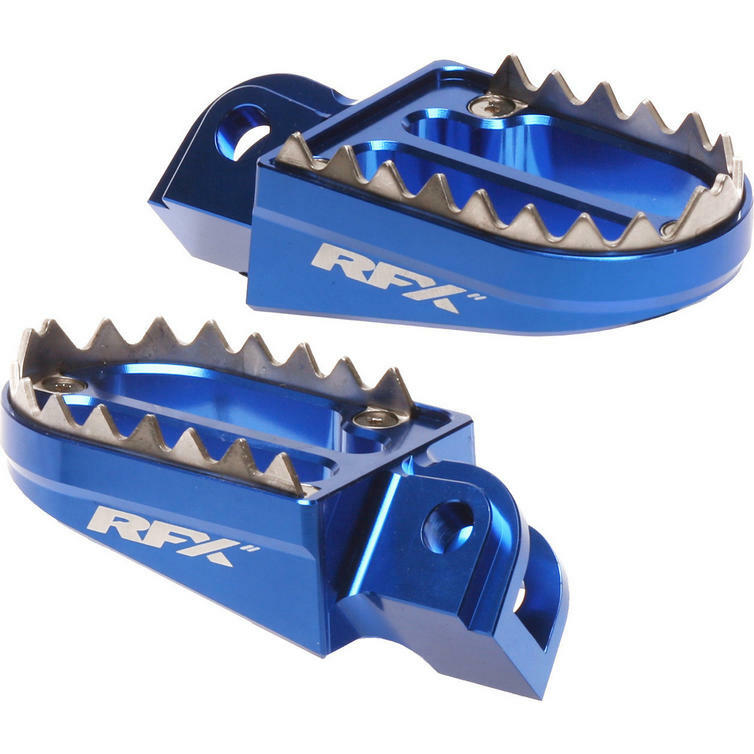 View all RFX Footrests. View all Footrests.